Golden Gate Bridge: Suicide Proofed. Sorta. "Our next big challenge is to come up with the money," said a bridge district spokesperson. Not surprising: the bridge is $91 million in debt, and even though they just upped the tolls, they also added that $25 million anti-death moveable median project. 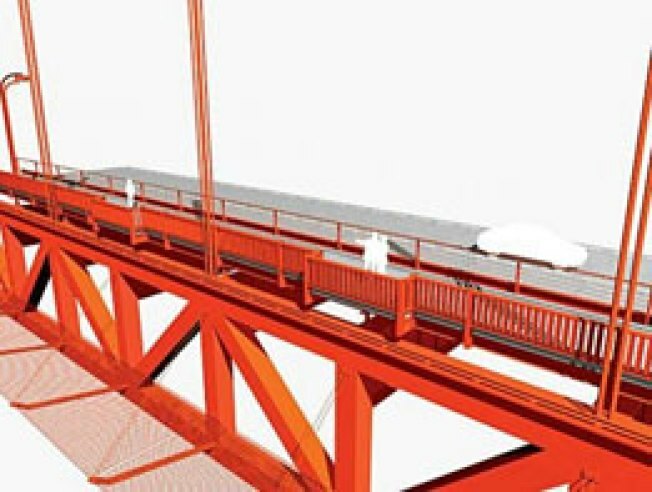 A bit of good news for the car-less: >he board rejected a proposal to place a toll on bicyclists and pedestrians using the bridge. For the moment, at least.